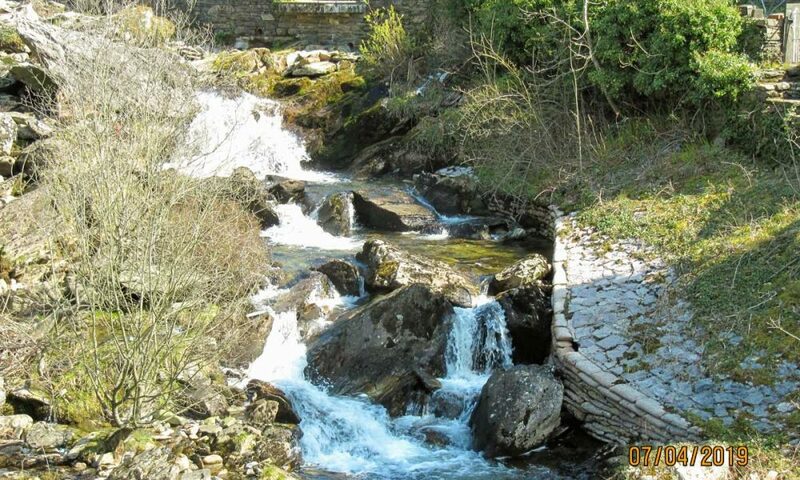 These slideshows will start automatically and can be paused by hovering your mouse over the picture. 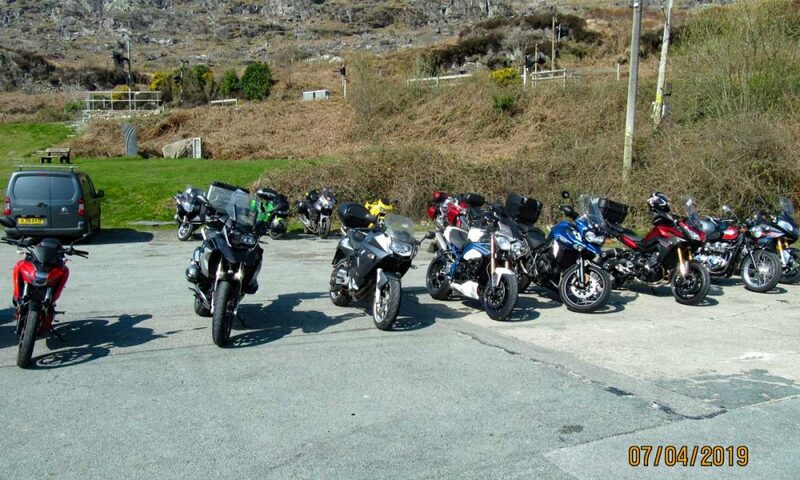 To continue watching, move the mouse pointer out of the pictures. 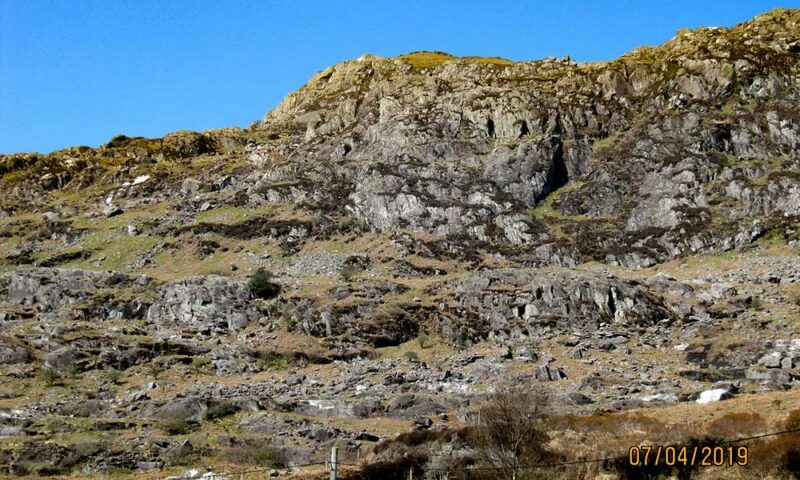 Clicking on a picture will enlarge the display. 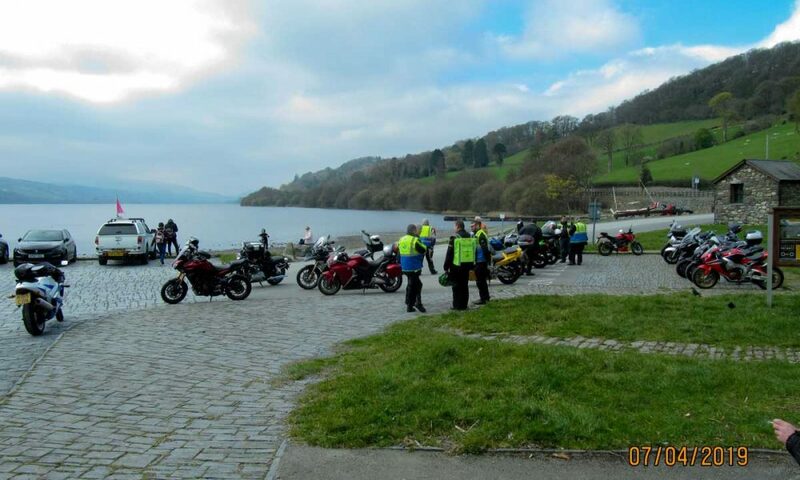 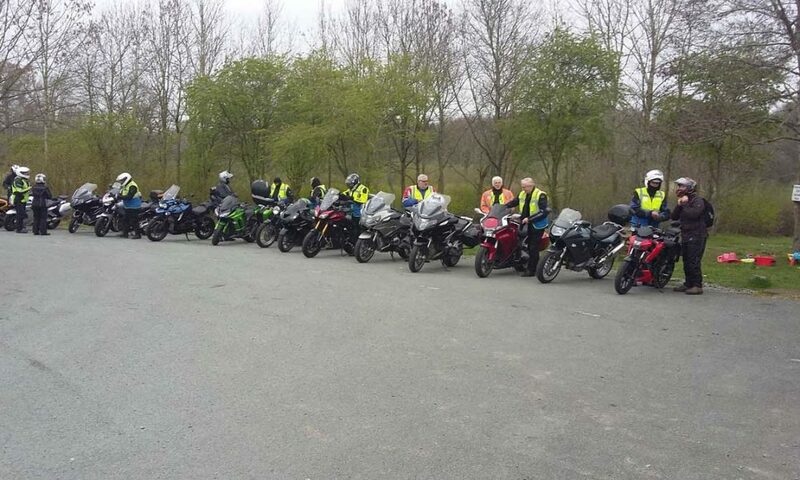 Having decided that March is not a good month for the initial riding season to start, and having had the previous two March rideouts cancelled due to inclement weather, I was very pleased to see a dry forecast for this months event. 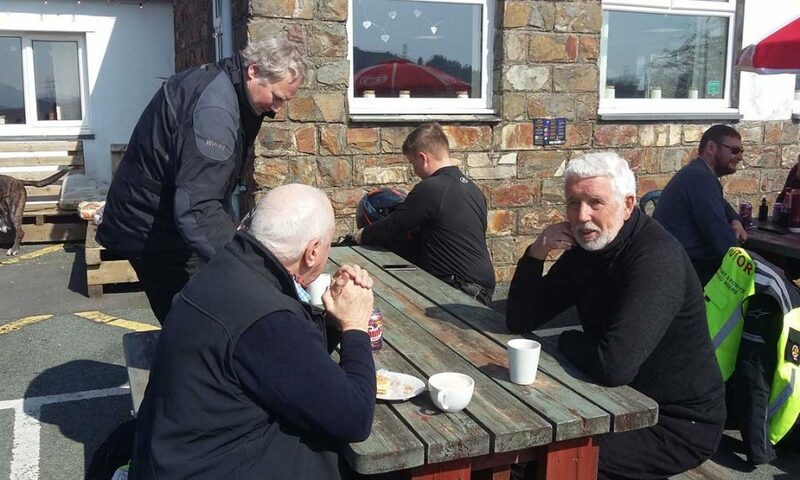 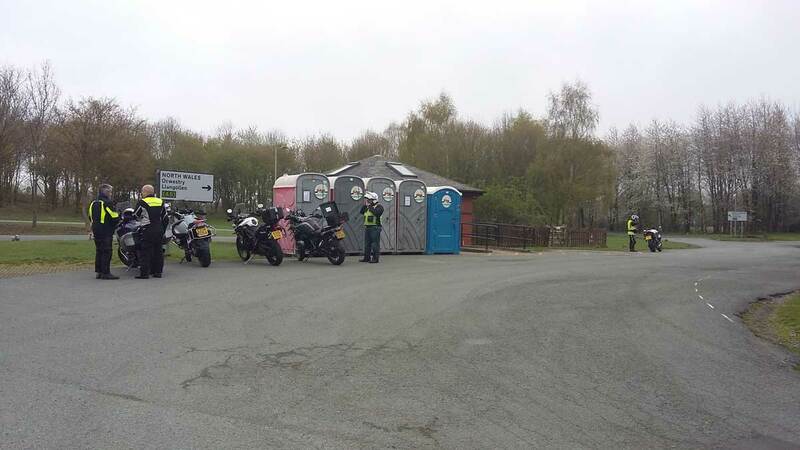 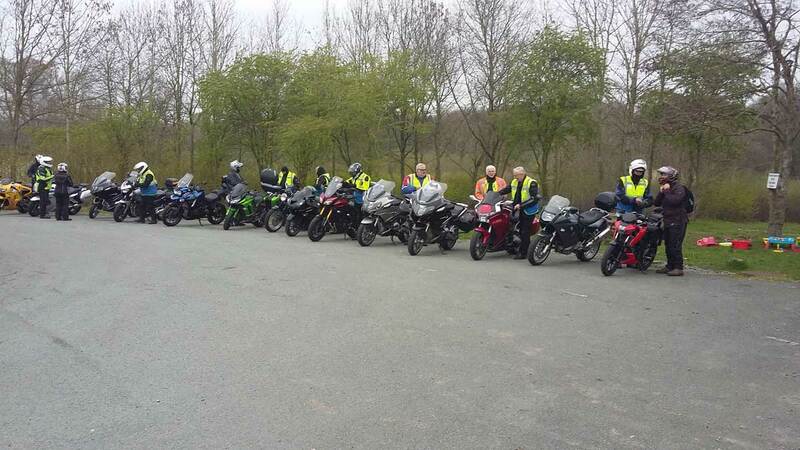 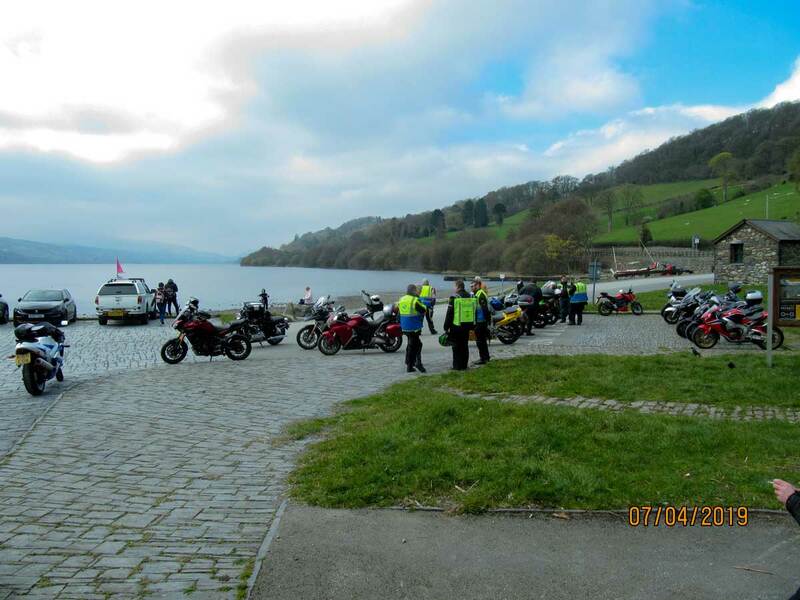 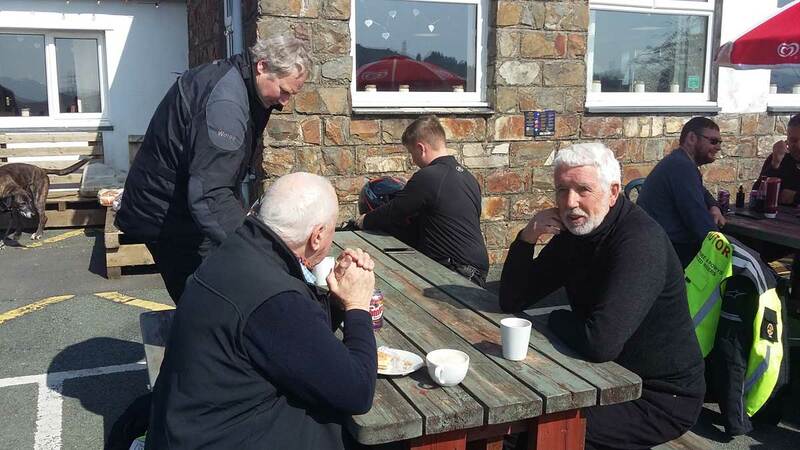 Seventeen riders turned out at Montford Bridge and after the obligatory coffee and bacon bap headed off over the hills to Bala for a leisurely morning coffee break. 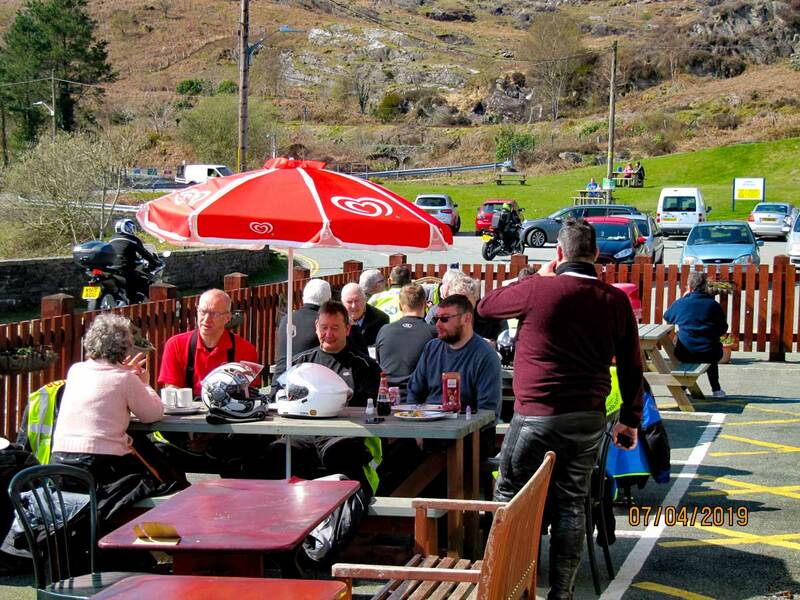 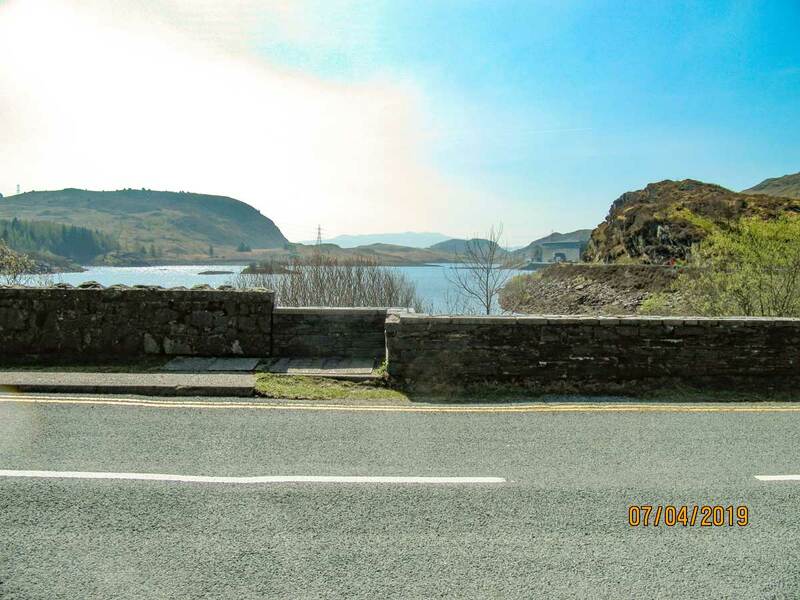 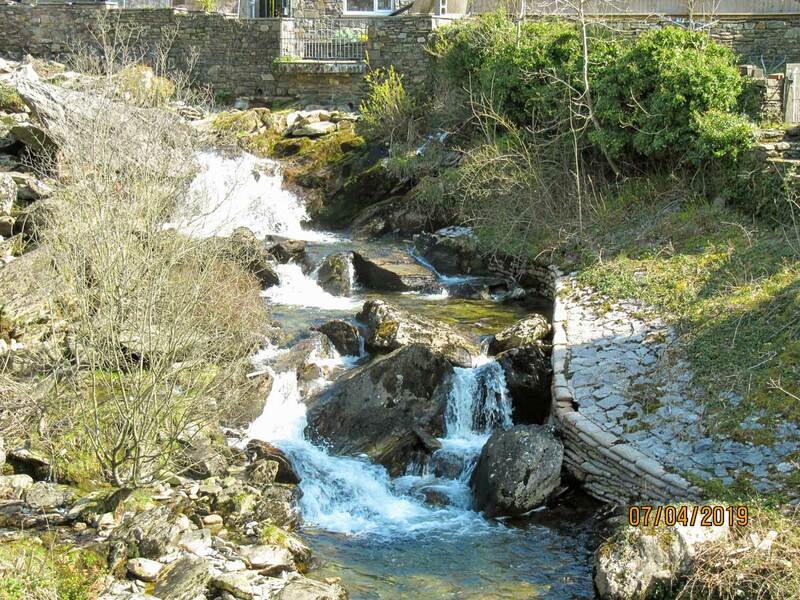 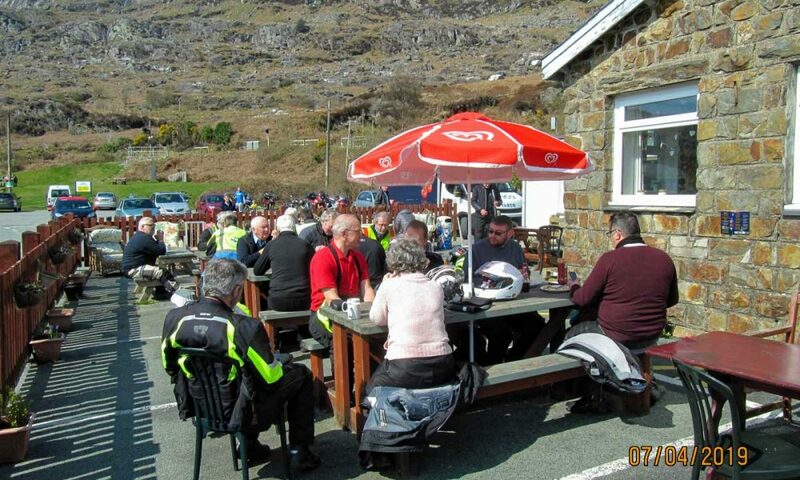 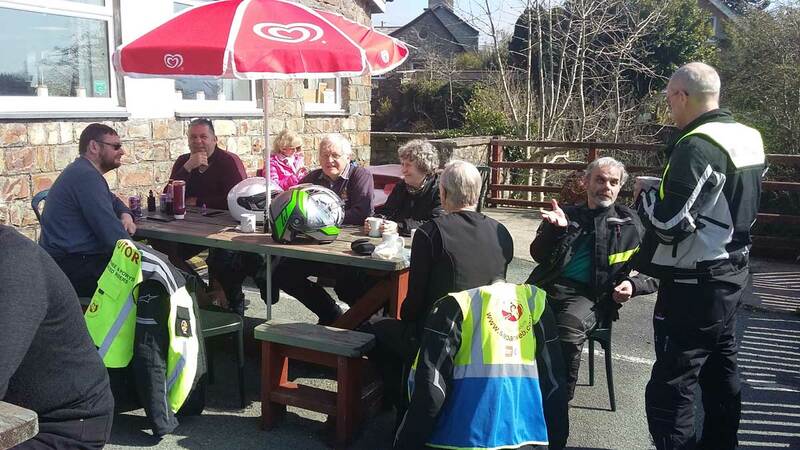 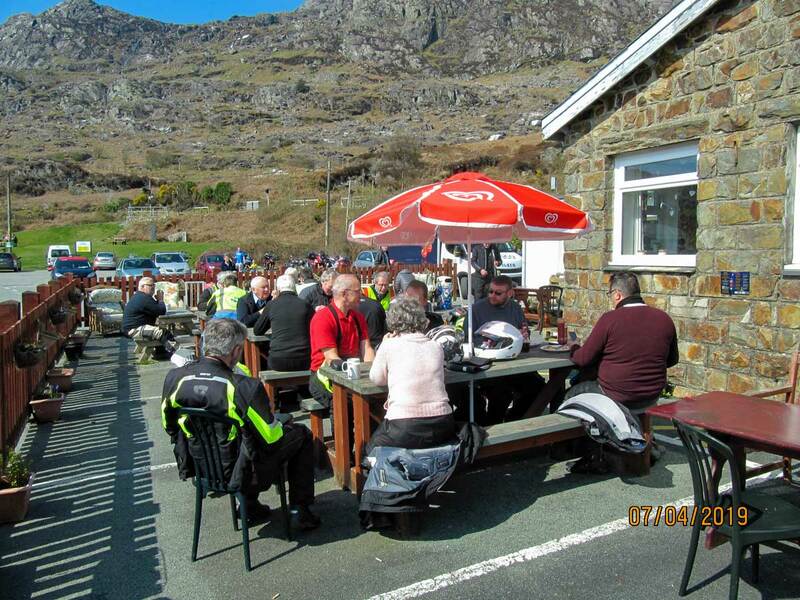 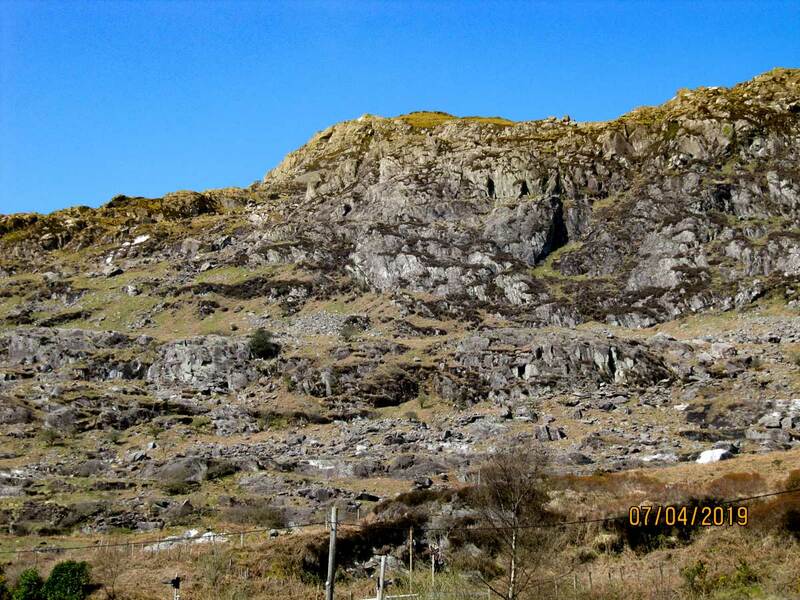 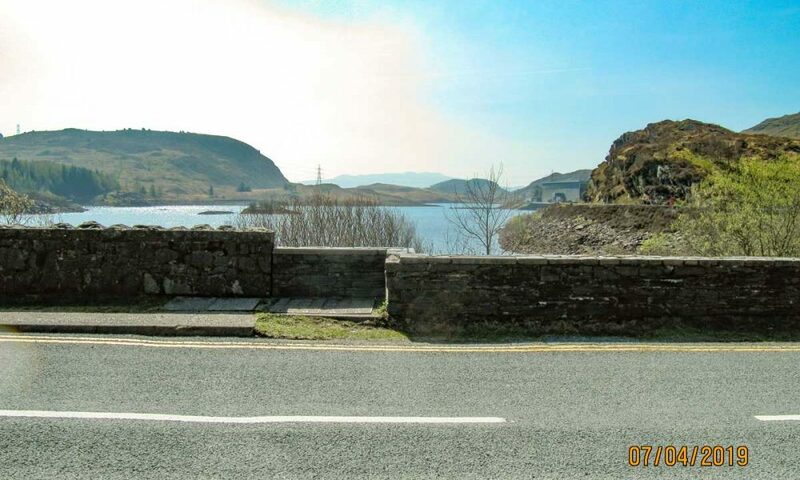 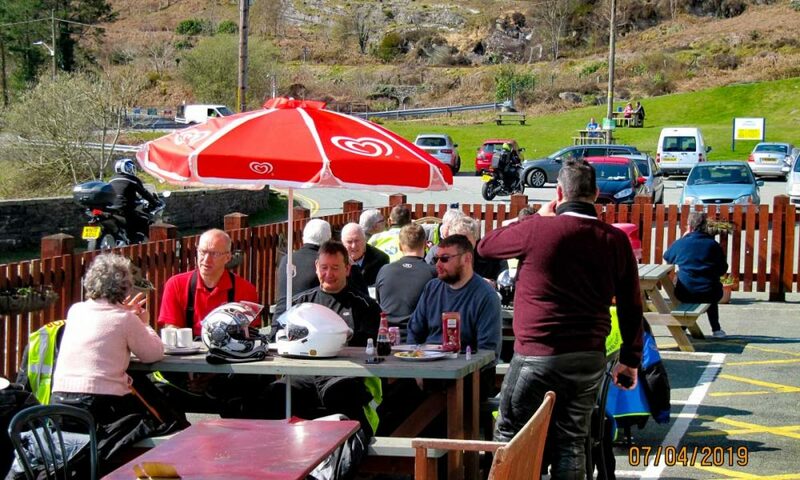 Lunch was at Tanygrisiau café which was bathed in glorious sunshine, the likes of which have not been seen on my rideouts for some years. 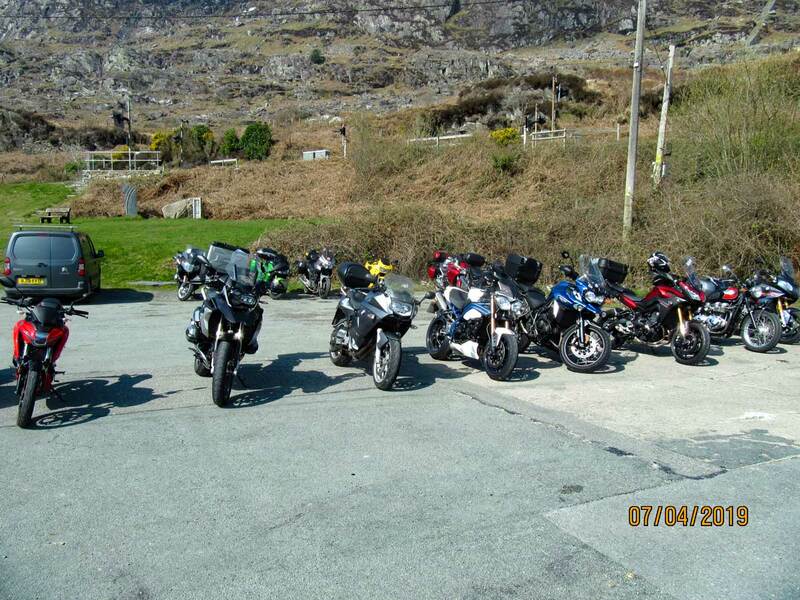 I think the nickname of ‘Rain Bringer’ is grossly unfair. 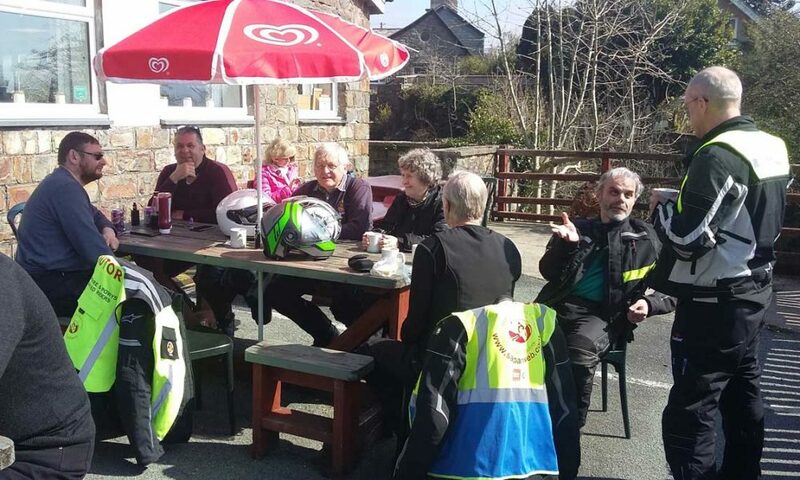 After lunch the group travelled onwards across some very scenic hilltops to Rhug for afternoon tea.